Sabine National Wildlife Refuge is a National Wildlife Refuge of the United States located in Cameron Parish in southwestern Louisiana. It is on Louisiana State Route 27, 8 miles (13 km) south of Hackberry and 12 miles (19 km) north of Holly Beach. The western boundary of the Sabine Refuge is Sabine Lake, the inlet for Port Arthur, Texas, while the tip of the eastern end reaches Calcasieu Lake. Sabine is a 124,511-acre (504 km2) sanctuary, the largest coastal marsh refuge on the Gulf Coast of the United States. It is home to more than 200 species of birds, including ducks, great egrets, geese, Neotropic cormorants, raptors, snowy egrets, wading birds, and shorebirds. There is also a very large contingent of American alligators, as well as blue crabs, American mink, muskrats, coypu, North American river otters, rabbits, shrimp, and turtles. Located at the visitor center is a pamphlet that explains the Wetland Walkway, a 1.5-mile (2.4 km) nature trail made from concrete, a portion of which is a wooden boardwalk, located 4 miles (6.4 km) south of the refuge headquarters. It includes an observation tower and fifteen knowledge stations to educate the public about Gulf Coast marshland. A second natural trail, the Blue Goose Trail is a 1-mile (1.6 km) round trip with a scenic overlook. Petroleum exploration is allowed on the refuge. There was an oil spill at one of the well sites in Sabine during the winter of 2002-2003. Most of the spill was cleaned up by burning the oil. Sabine NWR map (U.S. Fish & Wildlife Service; click for a larger view). Sabine National Wildlife Refuge was in the direct path of Hurricane Rita on September 24, 2005. All of the office buildings, visitor center, and maintenance shops were damaged beyond repair and have been removed. There are three remaining structures at the refuge headquarters area that were repaired. Recreational areas along Highway 27 received varying amounts of damage to bridges, piers, observation towers, boardwalks, restroom facilities, fences, and parking lots. Some of these facilities still require repairs and refuge staff are working with state and local partners, contractors, and other federal agencies to complete the work. West of Highway 27, Sabine refuge canals and marshes were severely affected by storm wind and water. Approximately 32,000 acres (130 km2) of refuge marshes, levees, and canals were damaged. Canals and marshes are clogged with seven million cubic meters of debris from off shore rigs and coastal communities. There are both physical and chemical hazards present throughout the refuge, many of which have settled below the marsh and water surfaces. Tanks and barrels containing hazardous liquids and gases have the potential to explode or break down and release toxins into the environment. Over 1,400 hazardous material containers have been identified and are estimated to contain between 115,000 and 350,000 gallons of hazardous liquids and gases. 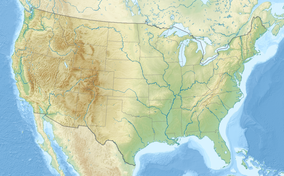 Wikimedia Commons has media related to Sabine National Wildlife Refuge. This article incorporates public domain material from the United States Government document "U.S. Fish and Wildlife Service ".